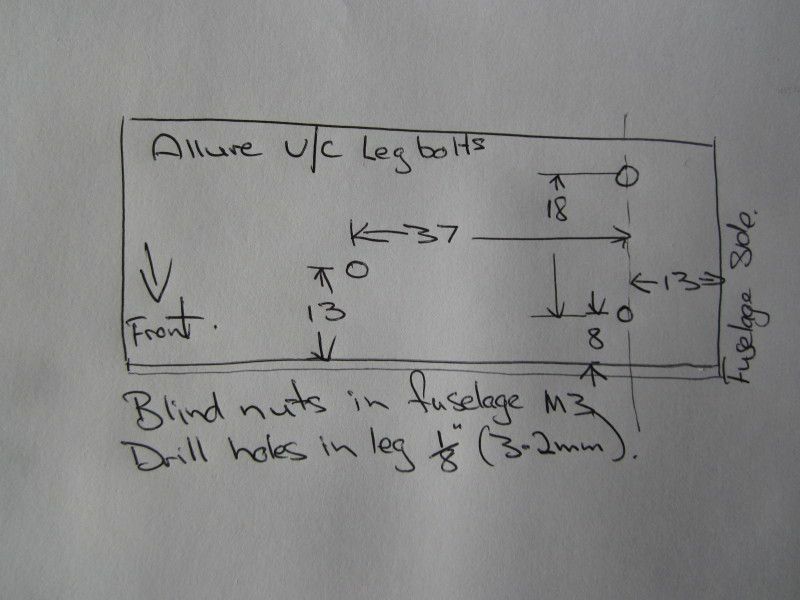 Hamish Galloway and his Dad Ewan are putting together an Allure builders kit in New Zealand. This is the first Allure builders kit to be made on the planet! On this page we'll detail the steps taken and methods used by Hamish and Ewan to build their Allure. The drawings come as PDF and DXF files. The dimensions are imperial and they transfer easily. I was brought up on imperial but run a metric workshop. A calculator and the digital vernier metric conversion helped. You really only need to print off the airfoil sections full size. 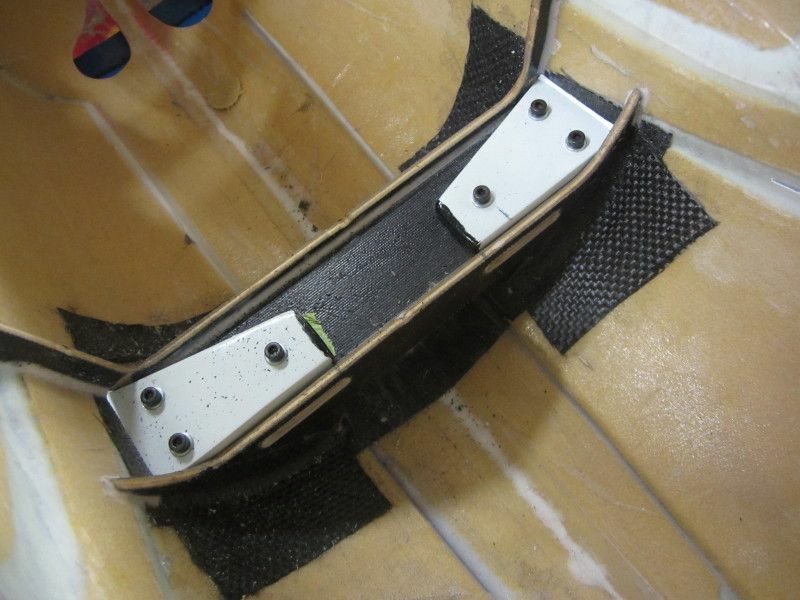 There are 3 basic methods of foam cutting with a hot wire. Hand cutting, drop arm automatic cutters, and CNC. The plans templates are drawn for the hand cutting method which most of you will be familiar with and in reality most of you will cut a one off this way. The ready access of photocopiers has made life much easier for this task. Keep the original as a master and take a copy for sticking to the template stock (double sided sellotape). As this is a symmetrical airfoil you only need one cut for the top and bottom template so make an accurate one. Clean up the concave bottom one and sand the top convex one to fit it. Continue the trailing edge past the foam at the same angle as any lag in the wire will be pulled at the correct angle. I do the same with the LE too by habit (no good reason). Mark the LE core position on the template as the core is lined up from it during cutting. 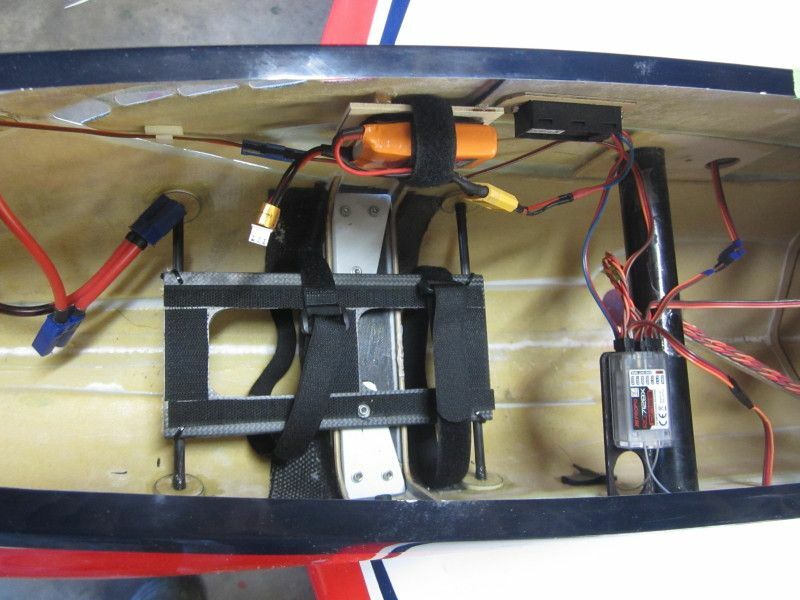 There are a few basics to building a foam wing with many slight variations on the way it is done. The end of the tube is where the most local stress is in the wing. The plan shows a half rib for support, I use a full rib, usually liteply with large lightening holes because fitting is accurate and easy with one slice with a foam bow and glues in with aliphatic (no heavy bog). 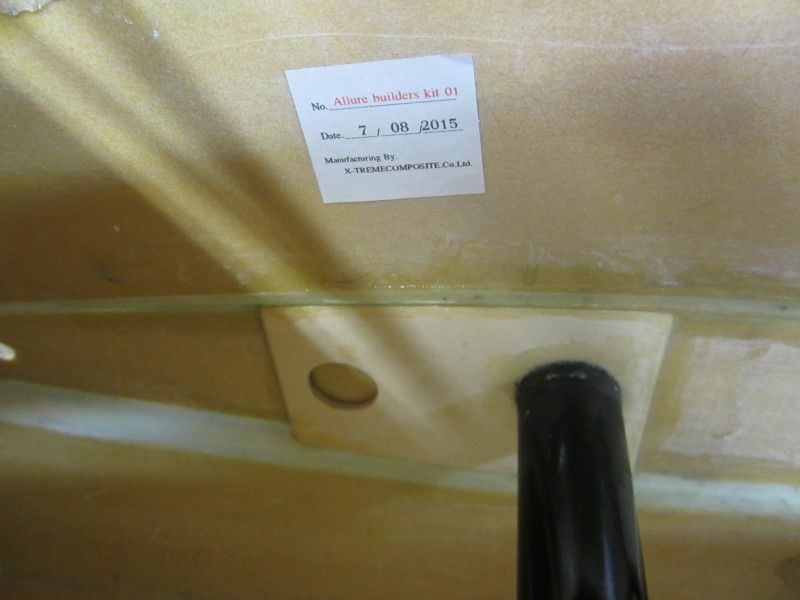 The structural failure point us just outboard of the end of the tube, The plans show some carbon uni under the wing skins which is very normal practice, I will be notching the foam with the foam bow, carbon tow under a 1/8 x 1/4 balsa cap. I have fitted the U/C legs but really need the fuselage at a better height. The fuselage has a lot of compound curves on it's underside and does not sit on a bench well. I screwed our foam cradle to a low stool which set up a good working height. Our legs did not come drilled. After some careful measuring I made a drilling jig that will do both left and right legs. Hole spacing is shown in the drawing. This builders came without the wing tube installed and I prefer it that way. 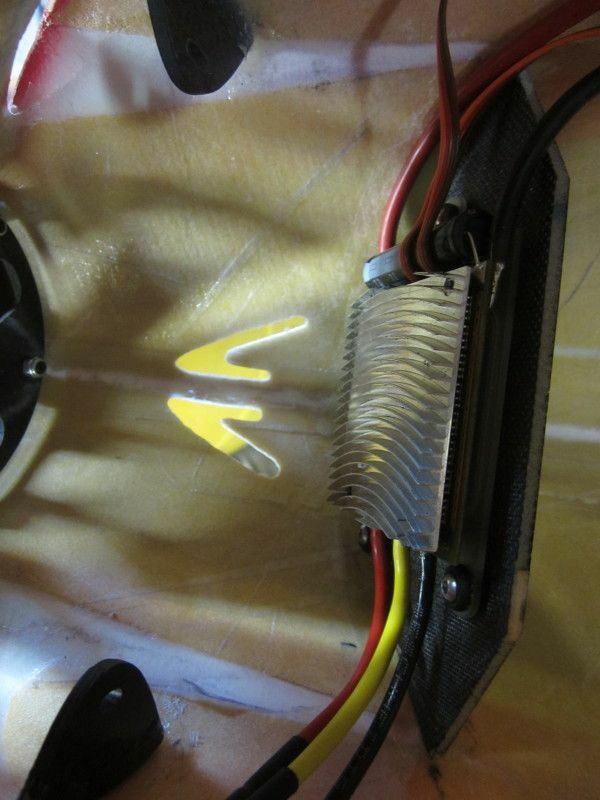 The wing fillets dictate exactly where the wing will go, the wing incidence well established with a lot of testing. I cut the tube and incidence pin holes using the root ribs in the early stages of wing construction. 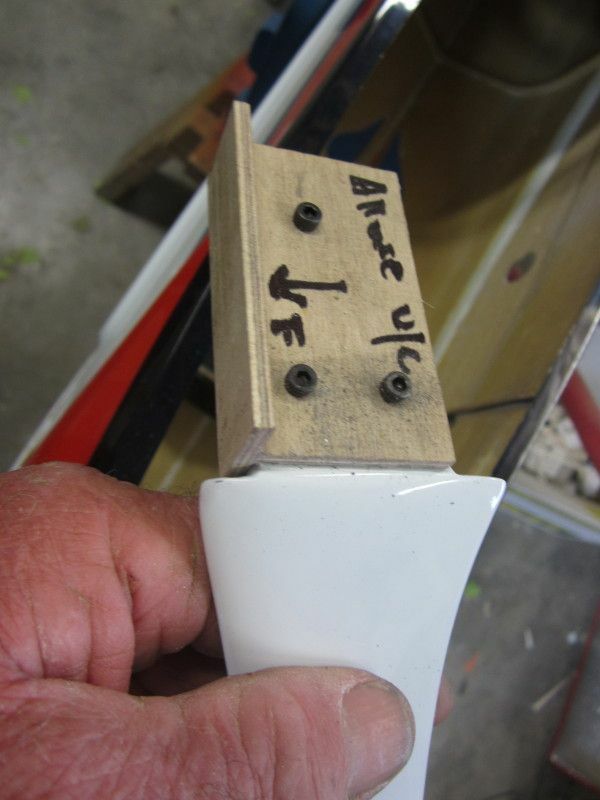 I have enlarged the wing tube hole to take the sleeve with the ability to fine tune the wing fit (it was very close). I chose to use a slightly larger piece of lite ply in place of the laser cut parts supplied for the tube and wing retaining bolt hard point, This ties this part if the structure together well. Note the serial number on the label. Hamish and Ewan have now got their surfaces all sanded prepped ready for film covering. I've done plenty of tidy but average film jobs over the years, with all the usual problems associated with film. A few wrinkles in the sun, a few edges that lift, "balsa loc" that shows through no matter how thinly you put it on. I have normally painted fuselages and filmed the wings and tail. I think a turning point has been the use of "budget hairspray" in preparing the wood as a surfacing and sticking agent. It doesn't affect foam and can be sprayed on thick and allowed to soak into the wood. Allow it to dry for 3 days and the weight gain is about 2 grams. The wood grain will stand up but a light final sand with 320 paper gives good filming surface. Santa delivered in the first mail after Christmas with a package from Richard Hirst. One item was lightweight heat sink for a Spin 99 speed controller but more about that in a later post, the other was a carbon mounting system for a Plettenberg Advance. Richard has been making them for a while and this particular version was dimensioned for the Allure. There have been a few sketches and drawings between us and at this stage it looks like it will bolt straight in. I will give you some weights later and Richards contact info. The build from this point is at about the same stage as a factory built ARF. It can also be the difference between a very average airframe and one that is very special. Attention to detail, don't rush it. 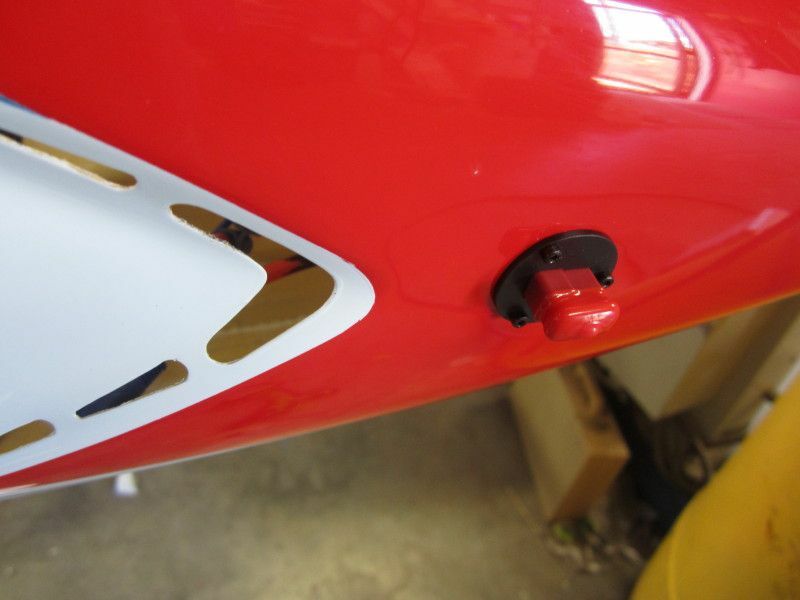 If you don't like the ball link, find a better one, the servo you see fitted today may not be the same in a later post. Watch this space. 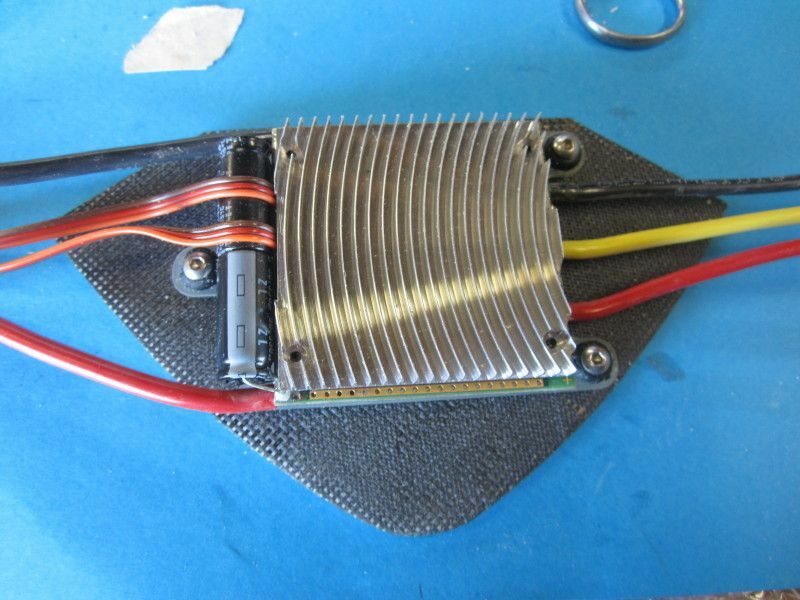 Mounted the speed controller on a 3mm Rohacell and 90gm carbon cloth sub bulkhead that sits under the motor at 45deg. Three 12mm square hard points for the mounting bolts from 3mm ply. Weight 6gms. Extra cooling hole under the spinner. 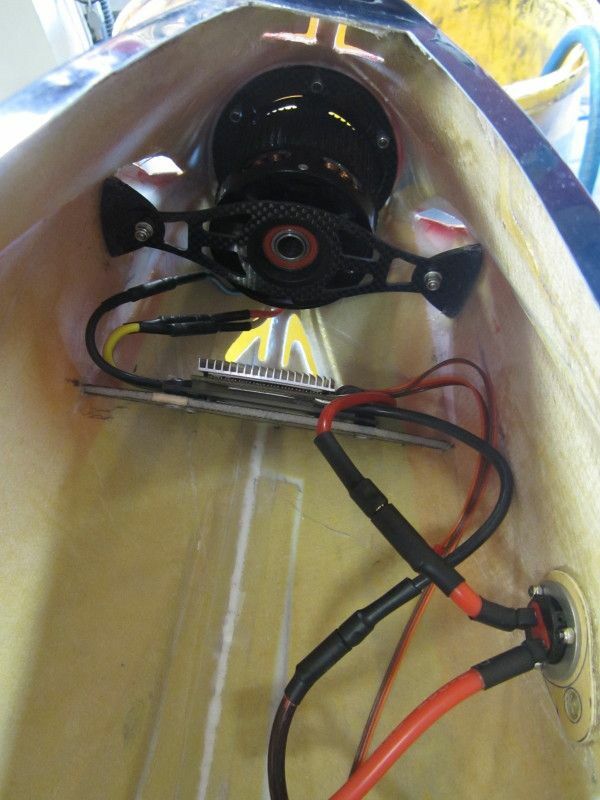 We had a weigh up yesterday afternoon before gluing in the battery tray. 4.585kg with Zippy compact 5000's and 800mah on the Rx. Had a late session (early morning actually) and Hamish tied off all the wiring and programmed the Tx and I got the battery tray in. Wasn't expecting it to be that far back.